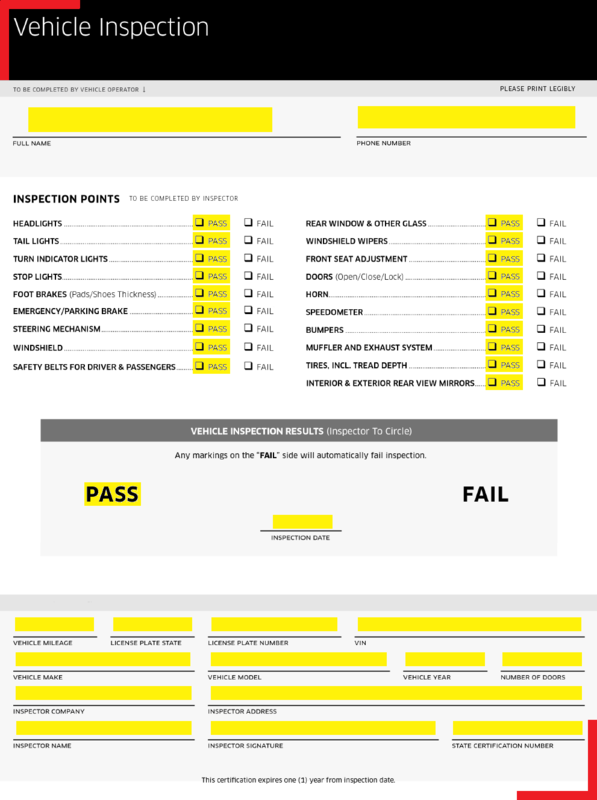 Activate your vehicle and find an inspection center to schedule an annual vehicle inspection. Inspection requirements vary by city—get the details about your city below. In Peninsula and SW Washington, all partners must pass a vehicle inspection administered by an Automotive Service Excellence (ASE) certified mechanic before taking their first trip.